"Your on-duty wardrobe doesn't have to be bland, so we've given this classic suit a contemporary update with a two-colour twill weave. It has all the quality markings you'll always find in a Tyrwhitt suit such as working button cuffs and real Corozo nut buttons, as well as being woven from luxurious pure new merino wool. Business is better than ever." it felt decent quality but the sizing was just ridiculous. Absolutely not slim fitting, and probably a size bigger on the chest in reality than it should have been. Felt more like a 38 regular fit than a 36 slim. 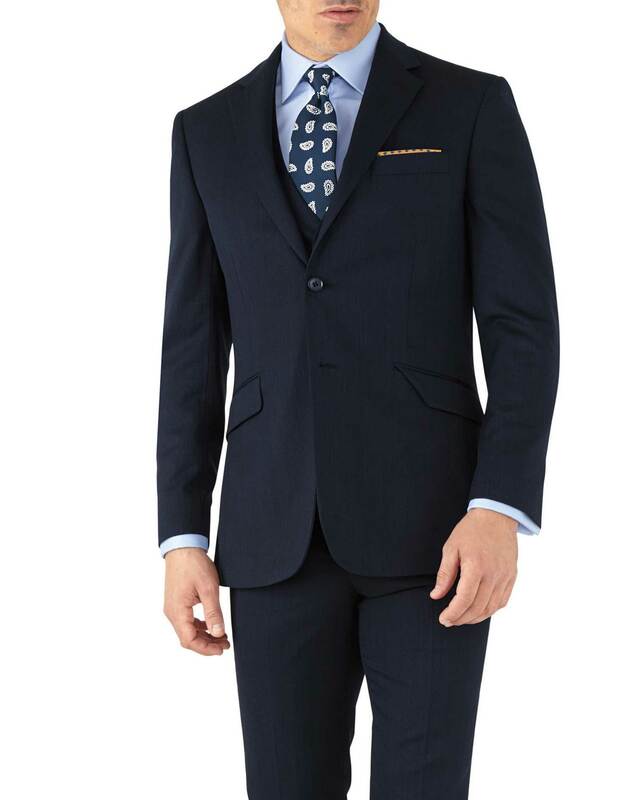 Response from Charles Tyrwhitt: I'm sorry that we let you down with the fit of this jacket. I can see you have already returned this and your refund has been processed.